One of the dominating technical giants in India, Karbonn, has commenced the selling of two new opium Entry level smartphones in the mobile market. Today we are attempting to give you a trusted review on the two variants of Karbonn opium models- N7 and N9. 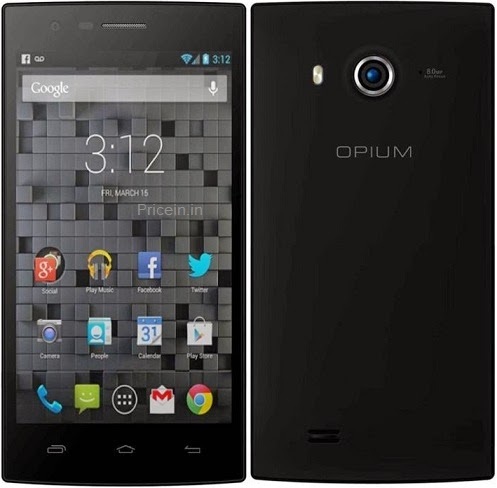 The budget smartphone Opium N9 appears with the price of RS 8,999. 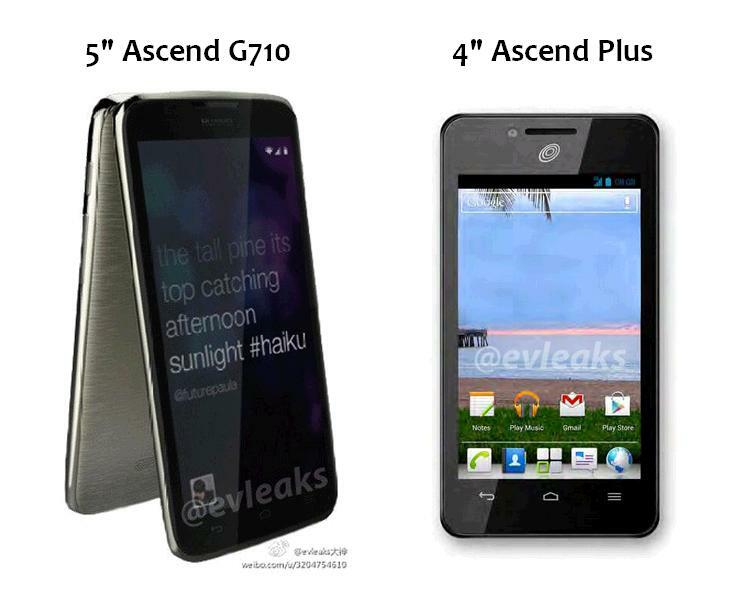 The 5-inch HD IPS display with 720x1280 pixels resolution runs on Android 4.3 Jelly bean OS out of the box. This dual-sim smartphone comes with a 1.3GHz quad-core processor clocked with I GB RAM and 4GB internal storage. Unlike Xiaomi Mi 3 you can expand this up to 32GB via Micro SD card. 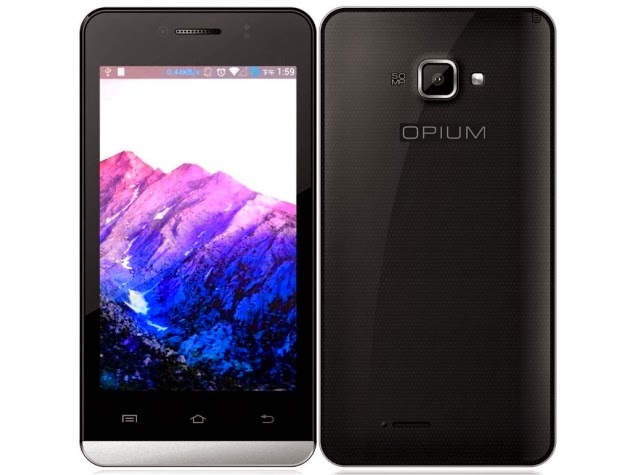 The Opium N 9 houses a flash supporting 8MP rear camera besides having a 2MP front facing camera. It sports a removable battery with the capacity of 2000mAh. Other chief features in this Java supporting device are 2G, 3G, Wi-Fi and Bluetooth, GPS ,Head phones FM and USB.In this device you can hardly enjoy the merits of Compass/ Magnetometer, Ambient light sensor, Gyroscope, Barometer and Temperature sensor. The second device N 7 comes with a 4-inch WVGA display with 480x800p resolution. It is a dual sim supporting budget smartphone. You can purchase this entry level device by spending Rs. 5,999. Similar to the previous one it too works on the platform of Android 4.3 Jelly bean OS. It is powered by a1.2GHz quad-core processor and 512MB RAM. The internal storage capacity is 4GB and you can upsurge it up to 32GB. It supports a 5 MP primary camera along with flashlight facility and there is a front-facing camera 0.3-megapixel also onboard. Apart from having a 1600mAh Li-Ion battery the device offers the connectivity features like 3G, WI fi, GPS, Bluetooth, headphones and micro USB. These two average level smartphones are exclusively available through the e-commerce website HomeShop18. Budget smartphones are being sold in Indian markets like hot cakes. Taking this possibility Karbonn, India’s own telecommunication firm, is coming with four smartphones under the range of RS 5000. Karbonn Smart A52 Plus, Karbonn Smart A11 Star, Karbonn Smart A12 Star and Karbonn Smart A50s are the fresh models of Karbonn. It is reported that these will be available exclusively through Flipkart, an Indian e-commerce company. The price of these entry- level budget smartphones starts from Rs 2699. Mr. Kalyan Krishnamurthy, SVP – Retail at Flipkart, said that it was their continuous endeavor to make technology available easily and at affordable prices to the greater masses of India.He said “In this digital age, we believe every Indian should have access to a smartphone. These Karbonn phones that have been made exclusively for Flipkart customers are a step in that direction." The Karbonn Smart A50s, the cheapest one among them, is available at Rs 2699. This black and white colour variant phone with 115.70 x 61.80 x 10.50mm dimension packs a removable battery having 1100 mAh capacity. While considering the price, it offers you a decent hardware. It is powered by a 1.2GHz dual-core MediaTek processor, 256 MB RAM and 512MB of Internal storage that is expandable up to 32 GB. Moreover, it features a 2 MP primary camera with flash light support and a 0.3 MP secondary VGA camera. This Java supporting device works on Android 4.2 Jelly bean operating system. This is a double SIM used phone and has a capacitive touch screen with 3.5 inches. Then there comes the Karbonn Smart A52 Plus with the price of Rs 3099. This dual SIM smartphone with 3.5 inch display and 1.2GHz dual-core MediaTek processor, runs on the Android 4.2 Jelly Bean OS.It contributes a 2 MP rear camera and a front camera with 0.3 MP. You can get it in black and gold colours. It has a 512MB RAM clocked with 4GB internal memory (expandable up to 32GB). It delivers a 1300 mAh battery with wifi, bluetooth and FM connectivity supports. Like the early mentioned set this also never supports 3 G connectivity. The third opulence, the Karbonn Smart A12 works on the gentle platform of Android 4.4 Kitkat OS. In addition to its 4 inch display with 480x800 pixels resolution, the handset provides a 5 MP primary camera as well as a 0.3 MP front facing snapper. It offers you the hardware facilities like 1.2GHz dual-core MediaTek processor, 512MB of RAM and 4GB inbuilt storage with a Micro SD facility. The dual sim operated phone with the dimension of 64.20 x 124.20 x 10.10mm is available in silver and black colours. The connectivity choices like Wifi, Bluetooth ,FM and 3 G are existing in this phone . It sports a 1400mAh battery and has been priced at RS 4099. Lastly , the Karbonn Smart A11 Star arrives with RS 4099. The operating System employed on this is the latest Android 4.4 Kit Kat. Other chief characteristics of the device are a 4.3 inch inch IPS display (480x800 pixels), a 1.2GHz MediaTek processor, 512MB of RAM, 4GB inbuilt storage, a 5-megapixel rear camera and a 0.3 MP front camera. This dual SIM supports black coloured phone never fails to offer you the connectivity services like wifi, Bluetooth, 3G, FM, Headphones,USB etc. Is there anyone who doesn't like a Samsung smartphone? We hope the answer must be no. For creating an exceptional smartphone experience, the South Korean tech giant is introducing four budget smartphones for us. 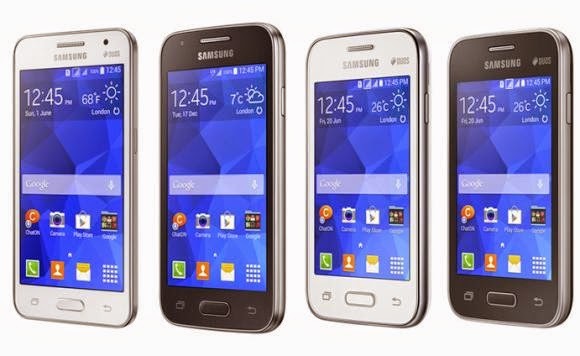 They are The Galaxy Core II, Galaxy Star 2, Galaxy Ace 4, and Galaxy Young 2. Even if these devices are focused on the emerging market, Samsung has not announced the price and availability details of them. All these four devices are equipped with Google’s Android 4.4 Kitkat OS out of the box and Samsung’s TouchWiz Essence UI on top. Let us have a look into the ins and outs of the smartphones one by one. The dual SIM device, the Galaxy Core II, is powered by a 1.2GHz quad-core processor with 768MB RAM. Its 4.5-inch WVGA TFT display gives you a resolution of 480x800 pixels. The smartphone delivers 4GB internal memory and you can load your favorite songs and videos on it, for the memory is expandable up to 64 GB. It also contains an auto focus, flash supporting 5 MP rear cameras alongside with a front facing VGA camera. This black and white variant device appears with the dimension of 130.3mm x 68mm x 9.8mm. The device with 138g weight and 2000mah battery offer the connectivity options like Wi-Fi b/g/n, Bluetooth 4.0, FM radio, Micro-USB and 3G. This is an entry level dual SIM device with a 3.5-inch HVGA TET display. But the phone will surely disappoint you with its low screen resolution, 320 x 480 pixels. It is powered by a 1GHz single-core graphic processor with 4GB internal memory and 512MB of RAM. Unlike in the Galaxy Core II, its memory is expandable only up to 32 GB. Its performance will be comparatively poor in its photo taking area since it gives you only a 3 MP fixed focus rear camera devoid of flash light facility. The connectivity options on the device include Bluetooth 4.0, Wi-Fi b/g/n, A-GPS, GLONASS, 3G Micro-USB and FM. The multi-touch screen of the device has light sensor and proximity sensor. The Samsung Galaxy Young 2 appears in Iris charcoal and white colour variant. Its 3.5 inch HGVA display like the former one offers a low picture quality as its screen resolution is 320x480 pixels. It appears with a 2MP back camera and there is no option for auto focusing and flashlight.The device neither has a front facing snapper nor has a 3g Network. Finally, the Galaxy Ace 4 comes in two main variants - The Galaxy Ace 4 3G and The Galaxy Ace 4 LTE. Unlike the previously mentioned devices, this is the only one appears with a single SIM. The Galaxy Ace 4 3G with are 4-inch WVGA TFT display has a 1GHz dual-core processor clocked with 512MB of RAM. The device comes with the dimension of 121.4 x 62.9 x 10.8mm. Moreover, it appears with a 1500mAh battery alongside with a 5 Mp rear snapper and a VGA front facing camera. We will soon update the price and availability of these new budget smartphones. So keep in touch with Gadgetshoppy. 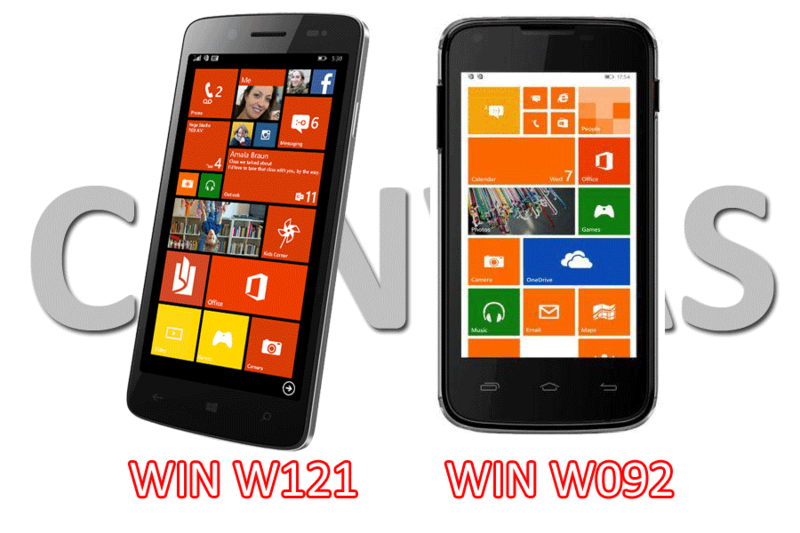 Micromax has unveiled its two smartphones, Micromax Canvas Win W121 and W092, running on Windows Phone 8.1 operating system. Hence the Micromax is the first smartphone brand in India to produce phones on both the Android and Windows Phone platforms. These phones are available in the Indian mobile markets from the beginning of this June itself. The Micromax Canvas Win W092 is the more affordable of the two as it is priced at Rs. 6,500 and the price of the Micromax Canvas Win W121 is Rs. 9,500. Guys before taking a decision, let us have a look into the details of these phones. As we mentioned earlier both are working on the gentle platform of Windows Phone 8.1 operating system. Like Nokia's Asha range phones, the Canvas Win W092’s plastic body and the four edges are sheathed in a transparent material that offers a crystallized effect to it. The phone features a 4-inch IPS display with the resolution of 800 x 480p. Besides, it is powered by a 1.2GHz Qualcomm Snapdragon 200 quad-core processor coupled with 1GB of RAM and 8GB of internal storage. Its internal storage capacity is expandable via a micro SD card. This dual SIM phone, offers a 5 MP rear camera with LED flash. In addition to the 0.3 MP front camera it spots a removable battery with the capacity of 1500mAh. Connectivity options available in the handset are 3G, WI-Fi 802.11 b/g/n, Bluetooth and GPS. Similar to the Samsung Galaxy Note 3, Micromax Canvas Win W121 has a faux-leather back panel that adds its charm and elegance. Among with a 5-inch HD IPS display, it features a 1.2GHz Qualcomm Snapdragon 200 quad-core processor and 1 GB ram, while the Lumia 520 and Galaxy Fame have 512MB of RAM. Akin to the latest budget smart phones the Canvas Win W121 has an eight GB internal storage facility and if needed you can boost it up to 32 GB. The phone gives you a screen with the resolution of 1280 x 720p. Unlike Motrola Moto E it features a 2000 mAh battery. The device is also offering a flash light supporting 8 MP primary camera, a 2 MP secondary snapper and has the same connectivity options as the Canvas Win W092. Dears, we prefer Micromax Canvas Win W121 to the Canvas Win W092, for even if it is expensive, it gives you a good 5-inch IPS HD display and a 2000 mAh battery. Lava has listed two new Android running smart phones in its official website. The first one is Iris 350M and the latter is Iris 402e. According to the online retail website you can buy the Iris 350M at Rs 3325, that means you will get a discount of Rs 620 from its original price. But the price and availability of the second one, the Iris 402e, is not in the official site.. The Lava Iris 350M unlike the Iris N 350 is working on the platform of Android 4.2.1 Jelly Bean operating system and is powered by a 1GHz processor. This dual SIM (GSM+GSM) used phone has 3.5-inch HVGA display with the display resolution of 320x480 pixel. Eventhough the Random Access Memory and the Internal storage memory of the device are the same (512MB) there is an option for expanding the inbuilt storage up to 32 GB through a Micro SD card. The device features a 2-megapixel rear shooter along with LED flash support and a 0.3 front facing camera. It is loaded with a removable battery having 1200mAh capacity and the connectivity options in the device are Wifi, Bluetooth, GPS, FM, Headphone, Micro USB etc. The features of the two handsets are almost all the same except in battery capacity and screen size. The 1450mAh, Li-Ion battery in Lave Iris 402e can offer up to 9 hours of talk time, and 200 hours of standby time. The device with 4-inch WVGA (480x800 pixel) display, measures 126x65x10.35mm and weighs 100 grams. The Smartphone supports additional features as 0.3-megapixel VGA front-facing camera, Bluetooth, GPRS/ EDGE, WI-Fi, and GPS. Nevertheless, there is no news of its price in Lava’s website, we hope the price would be below Rs. 5000. While analyzing the two phones together, we think the second one would be a good choice since it offers a 4 inch screen display with 1450mAh, Li-Ion battery. But the selection is up to you and we are here to make our path clean…. In our smart phone industry, medium budget handsets are more demanding and always achieved as a bestseller. Now in our market, two flagship mobiles from two manufacturers have established as the popular category in the market - Nokia Lumia 630 and Motorola Moto G. Both smart phones have dual connectivity and a lot of similarities. Here we try to compare these smart phones. It includes not only a technical comparison, but quality customers experienced review also. The Moto G dual SIM mobile has 129.9 x 65.9 x 11.6 mm dimensions and 143 gram weight. When we first observed the candy-bar phone, the design is attractive and looks like Motorola’s flagship Moto X (handset size is different). Moto G is little heavier than Lumia 630. The smart phone’s overall appearance and the body cover plastic quality are comparatively good. The smart phone’s front panel is dominated by a 4.5-inch IPS LCD capacitive touchscreen with 480 x 854 pixels resolution. The display resolution is comparatively lowly. The device has an average PPI density, which is 218. The ClearBlack display is protected by Corning Gorilla Glass 3. The viewing experience through this display is disappointing. Playing HD videos and advanced mobile gaming are not recommended. Lack of problems occurred during our quality test for playing full HD videos and games. The smart phone has 4.5 inches IPS LCD capacitive multi touch screen with 720 x 1280 pixels resolution. Moto G provides 326 PPI (Pixels per Inch) density, which is comparatively better. The handset enables a quality viewing experience through the display. Playing full HD videos and advanced mobile gaming are sufficient and recommendable. The display is protected by Corning Gorilla Glass 3. Moto G’s design does not include the Company logo or any other branding symbol on the front panel. The Lumia 630 dual is powered by 1.2 GHz Qualcomm Snapdragon 400 Quad Core Processor with built in Adreno 305 graphics. The device has enough powerful processor which capable of handling multitasking. But there is only 512 MB RAM, which is disappointing. 8GB internal memory and 128GB expandable memory via micro SD card are the memory options of the device. The total performance of the device is depend upon the combination of processor speed and the memory specifications. However, the dedicated processor enables a qualitative performance. The Moto G dual is powered by 1.2GHz Qualcomm Snapdragon 400 quad-core processor with built in Adreno 305 graphics. The smart phone provides a powerful usage even in multitasking. 1GB RAM and 8/16 GB internal memory are the memory options of the device. These specifications are in a sufficient level. There is no expandable memory on the device which is disappointing. When you purchase an 8GB internal memory variant, the user-accessible memory is only 5.5GB. It's just 6.1mm thickness, rounded edges and an overhauled design. These features are the main assets of the device. 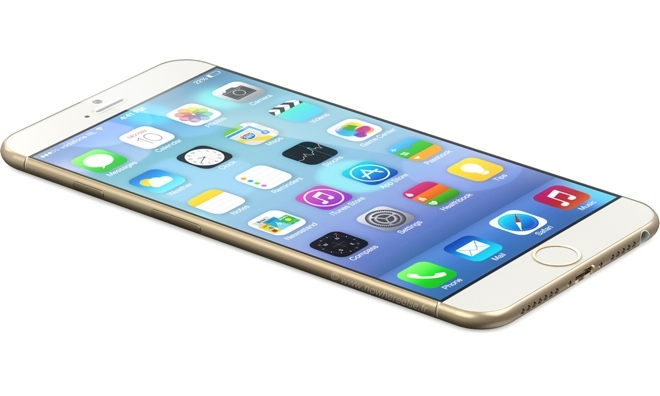 The iPhone 6 is thinner than the same category smart phones worldwide. The device comes with a brilliant 4.7 inch high-resolution Retina Display and is slightly shorter than theSamsung Galaxy S5 . The Galaxy S5 has 5.1 inches Super AMOLED capacitive touchscreen. 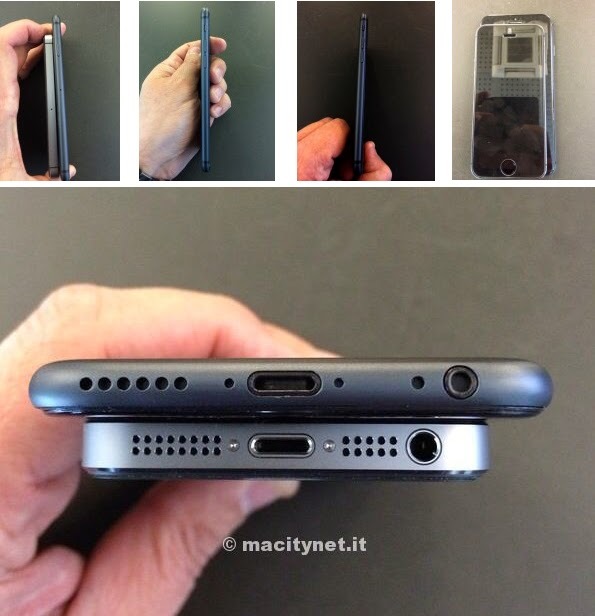 The alleged Apple smart phone is thinner than the Galaxy S5. The Apple iPhone Duralumin material case manufacturer from Japan, Squair reported that the design of the device is very exclusive. Curved edges with curved display glass, aluminium design, high performance core processor with inbuilt HD graphic acceleration, dual camera with high end features latest generation battery pack, attractive memory option and advanced connectivity options are the memorable features. Huawei, the popular Chinese smartphone manufacturer has recently launched two smart handsets with advanced features. Ascend Plus and Ascend G710 – these two smart phones have attractive features which are included decent ppi (pixels per inch) display density, Android platform and advanced connectivity features such as 3G, wi-Fi, Bluetooth and A-GPS. The smartphone sports a 4 inches TFT LCD Capacitive touchscreen with 480 x 800 pixels resolution. Huawei Ascend Plus also comes with a 1GHz single-core processor with inbuilt graphic acceleration. The device runs Google’s Android 4.0 (Ice Cream Sandwich) operating system. 4 GB of internal storage and a micro SD card slot are the other attractive memory features of the handset. The smart phone has 5 mega pixels rear camera with autofocus and digital zoom. There is an LED flash light on the rear panel for capturing images even in bad light. Ascend G710 sports a 5 inches LCD HD (720p) touch screen with advanced display sensors. The smartphone is powered by 1.5 GHz quad-core processor with inbuilt graphic acceleration. The device also runs the latest Android 4.1 Jelly Bean platform and advanced connectivity. The smartphone will consider as a high end metal finish smartphone. According to the words of official spokesmen, the smartphone will support dual-SIM connectivity with CDMA – GSM features. Micromax A90S Superfone Pixel and Karbonn A18. Which is the real choice? Both smart phones have similarities. The dual SIM, dual Standby smart phones have enabled advanced connectivity options like 3G, Wi-Fi and Bluetooth. Now these smart phones are the best seller devices in the mobile industry. Micromax and Karbonn are the reputed smart phone manufactures in India and abroad. Micromax Company's Superfone smart phone series is one of the tremendous successes. After the awesome release of Mcromax A90 Superfone Pixel dual SIM HD smart phone, the Company recently released this A90S. Karbonn Company already introduced their A series smart phones with special features such as Karbonn A9, A9 plus and A21. Karbonn A18 is also a success. The main attraction of these handsets is its nominal price tag. Both smart phones sport high profile touch screen display and above average battery capacity for talk time and standby. Here we try to compare these handsets customer feedback and technical specifications for point out the real choice you can get. The Micromax A90S Superfone Pixel has more vibrant design and sleek nature. Karbonn A18 carries useful sensors for effective display such as the Proximity sensor and Light sensor. Both handsets have specialties. 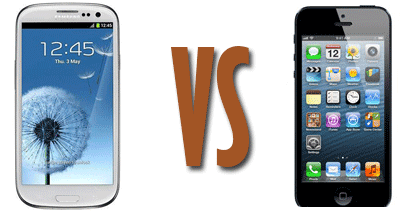 But a detailed comparison, Micromax A90S Superfone Pixels gets the winner position. Winner: Micromax A90S Superfone Pixel. Micromax’s digital camera is more efficient to capture images even in bad light. The 8 mega pixels main camera provides a crystal clear visual experience. Winner: Tie. Karbonn Company climes that A18 will provide 12 hours continuous talk time for a single charging. But our quality tests are stating that it is a rare chance. Normally, the smart phone gives 5-6 hours only. Micromax handset runs a dual core processor with inbuilt GPU. But Karbonn device runs a single core CPU. This is a huge difference. Considering these specialties, the Micromax A90S Superfone Pixels gets the top position. The smart phone is powered by a dual core processor with inbuilt graphic acceleration. 8 mega pixels main camera, Corning Gorilla glass display protection and nominal price tag are the main ‘positives’ of the handset. 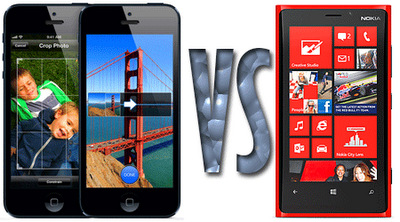 Micromax A100 Superfone Canvas or iball Andi5c: which is the right choice? We think the answer is not easy. Both smart phones have awesome features and attractive price tag. And also the best seller smart phones in our market. Here comparison and review of these handsets are discussing quality customers’ experience and our various technical tests. Micromax A100 Superfone Canvas and iball Andi5c are dual SIM and dual standby connectivity. Both smart phones have enabled advanced connectivity options like 3G and Wi-Fi. The Micromax A100 is the real winner in this section. The curves of the smart phone are well fit in hand and more sleek. Micromax A100 Superfone Canvas has 168 grams weight which is no featherweight, but comparing with iball Andi5c, it more lighter. Winner: Micromax A100 Superfone Canvas. Both smart phones have dual camera and LED flash. But the Micromax handset has enabled more decent camera quality even in bad light. iball Andi5c camera is a disappointment. Low light performance is comparatively poor. Winner: Micromax A100 Superfone Canvas. Considering quality customers experience, the Micromax handset’s battery has done a good performance for the day to day needs of the smart phone and the battery life is also good. Here Micromax A100 Superfone Canvas is the overall winner. Micromax A100 Superfone Canvas is better looking and has a better display. Considering both price tags, Mixcromax handset is more nominal. Apple iPhone 5 or Nokia Lumia 920 which is best? 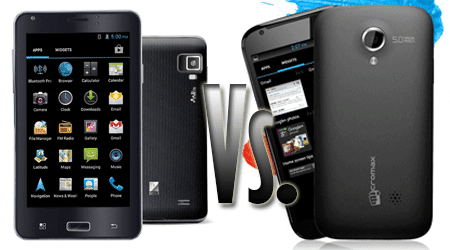 Here we compare these two newly released smart phones which are awesome features and prestigious figure. Apple iPhone 5 comes with advanced smart phone technology features developed by Apple Inc. Nokia Lumia 920 comes with latest Windows 8 mobile platform which enables advanced smart phone options. Apple climes that Apple iPhone 5 is blend with beauty, utility and versatility. Nokia climes that Lumia 920 is the most innovative Lumia they did. Considering smart phone features huge display and weight is not a positive point always. Here Apple’s tremendous design is more attractive. Nokia Lumia 920 camera features have slightly high profile. But Apple’s popular camera technology features may provide more qualified results. 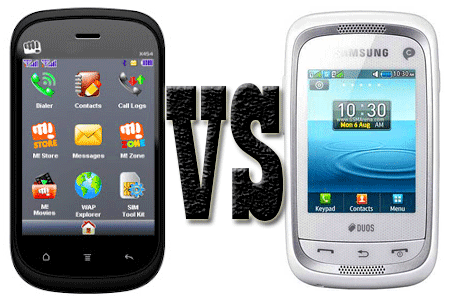 Here we try to compare the detailed specifications of Samsung Galaxy Y Duos Lite and Micromax A87 Superfone Ninja 4.0. Both smart phones have Google Android platform and dual SIM connectivity. These handsets come with same price tag and higher rating. Considering these features both smart phones have some drawbacks. Comparing Micromax A87 Superfone Ninja 4 features, the main demerits of Samsung Galaxy Y Duos Lite are its small processor, small display with resolution, battery standard and price tag. But the smart phone’s 4GB of internal memory, huge talk time and standby is the main advantages. In Micromax A87 Superfone Ninja 4 has no internal memory sufficiently (But you can expand it via micro SD cards). Talk and standby times are less than Samsung Galaxy Y Duos Lite. But the powerful 1GHz Qualcomm Snapdragon processor, huge display with sufficient resolution, advanced software features and nominal price are the advantages. We think Micromax A87 Superfone Ninja 4 would be a better option. 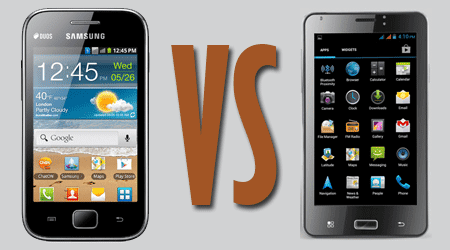 Micromax X454 vs. Samsung Champ Neo Duos which is the best option? Here we compare these low range mobile phones features and price. The comparison inspects not only the features but also the qualified customers’ detailed review. Both smart phones have dual SIM connectivity and QVGA TFT touch display. VGA front camera, Audio-video players, Bluetooth etc. are also available in both handsets. Considering these two mobile phones features both handsets have own merits and demerits. We can’t declare a winner here. 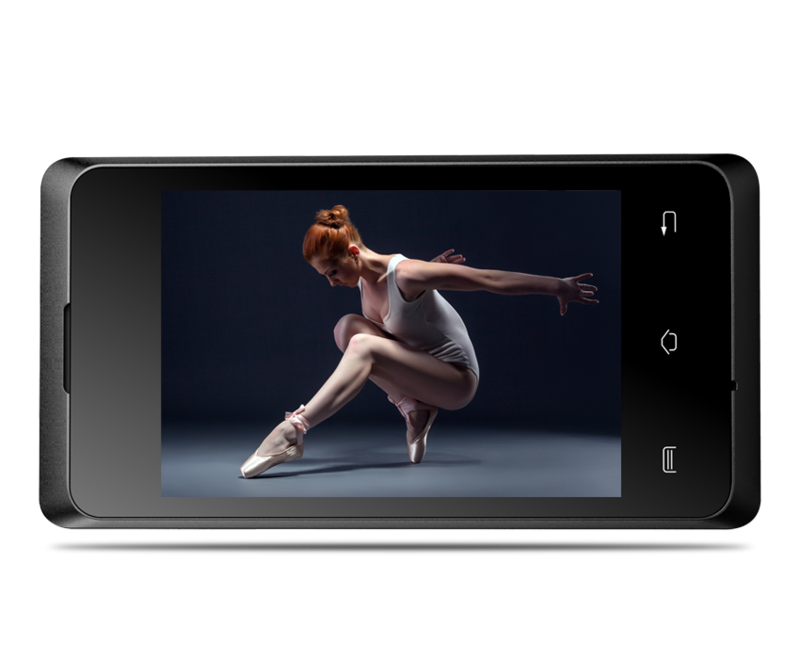 The main drawbacks of Micromax X454 are its less talk time and less display density. In Samsung Champ Neo Duos, small display is the main drawback. However, if you can ignore this demerit (small size display) Samsung Champ Neo Duos GT C3262 is comparatively good option. 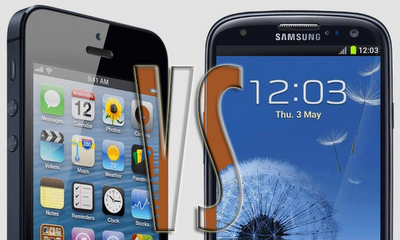 Samsung Galaxy S3 or Apple iPhone 5 which the best smartphone? Now the question is most popular in the world. The smart phone lovers of worldwide always search to get an accurate answer about the question. One week before we published a detailed review and comparison for these smart phones that is one of the crowd puller post of ours. The famous Android authority website today performed a drop test in Hong Kong and they test the scratch resistant- accidental damage prevention abilities of these smart phones. The drop test results are really incredible and enjoyable. During the test they dropped the Samsung Galaxy S3 and the Apple iPhone 5 a total of four times, each time from an increasing height. Apple iPhone 5 built by a strongest aluminum shell which capable to overcome accidental damages. But Samsung Galaxy S3 is little week to overcome these situations because of the wide angle design of the handset. An awesome design is the main strength of Apple iPhones. but also its detailed specification. Samsung Galaxy Ace Duos and iball Andi 5c are the smart phones come with dual SIM connectivity and same price range. Main difference between these two smart phones is its processor standard. Samsung Galaxy Ace Duos runs an 832MHz Qualcomm Processor and iball Andi 5c runs 1GHz Cortex A9 Processor. iball Andi 5c handset has two digital cameras on front and rear and a single LED flash on the rear. There is no front camera and LED flash on Samsung Galaxy Ace Duos handset. Samsung Galaxy Ace Duos and iball Andi 5c have Android platforms. 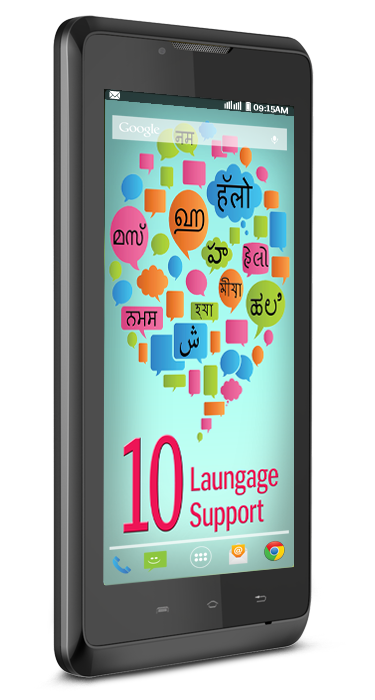 Samsung Galaxy Ace Duos comes with Android 2.3 Gingerbread operating system and iball Andi 5c has the latest Android 4.0.3 Ice Cream Sandwich operating system. Samsung Galaxy Ace Duos is powered by 1,300 mAh Li-Ion battery and iball Andi 5c has 2300 mAh Li-Ion. Both smart phones are awesome design and handsome look. Winner: Samsung Galaxy Ace Duos. One level the comparison becomes easier to analyze its technicalities. But other end to analyze the qualified customers reviews and comments become difficult. 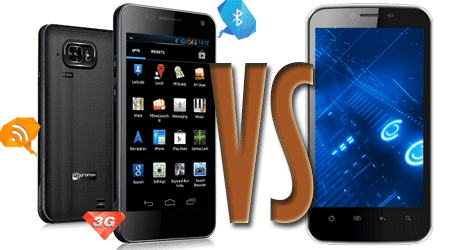 Here we try to analyze two prestigious smart phones which are awesome features and stunning technicalities. Considering the qualities and details of Samsung Galaxy S3, the smart phone already get a reputed position in the market and become best seller category. But Apple iPhone 5 only launches now. Here we only compare the technical details and previous experience of the above Companies that will help you to build a basic decision to buy these products. Winner: Apple iPhone. Sometimes huge size is not a positive thing. These two smart phones have different style of design and not comparable. But Apple iPhone 5 is thinner than Samsung Galaxy S3. Apple iPhone 5 is easier to handle with single hand. no doubt that Apple iPhone 5 is more beautiful than ever smart phones in the world. Winner: Tie. Both processors will provide a stunning performance even multitasking and advanced gaming. Apple’s processors are known as super qualified hardware. 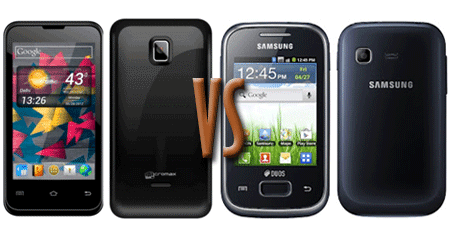 Samsung Omnia M GT-S7530 and Nokia Lumia 710 are the best seller smart phones now. 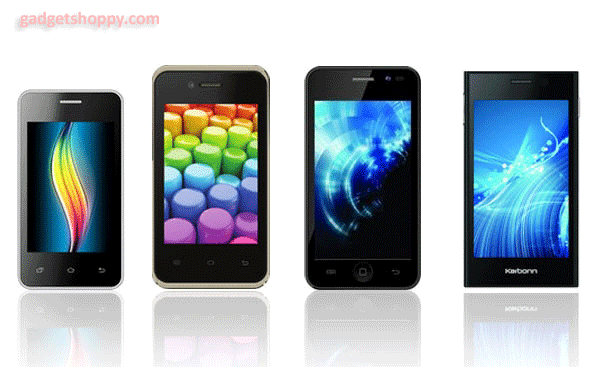 According to the mobile outlets, these smart phones become most popular all over India and US. Our regular readers ask to write a review and comparison about these smart phones especially its technical qualities and drawbacks. First look, we can see that both Samsung Omnia M and Nokia Lumia 701 are Windows phones which run awesome Windows 7.5 mango OS. Both smart phones have 3G- Wi-Fi connectivity. The similarity is mainly its operating system but most of the specifications are different. But Samsung Omnia M and Nokia Lumia 710 have no expandable memory because there is no memory card slot. 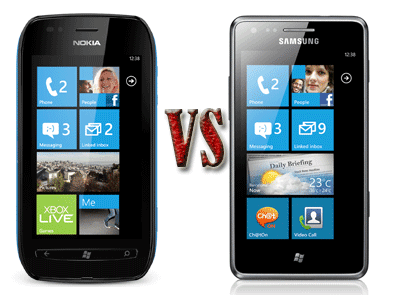 Both Samsung Omnia M and Nokia Lumia 710 become same price range which is the main reason to compare these devices. We can identify some differences between these smart phones at a close look.